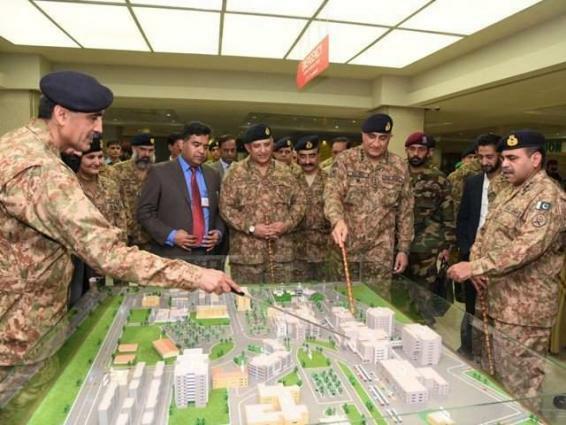 RAWALPINDI, (UrduPoint / Pakistan Point News - 16th Apr, 2019 ) :Chief of Army Staff General Qamar Javed Bajwa Tuesday inaugurated new blocks at Combined Military Hospital (CMH) Rawalpindi. The project commenced in 2013 and after completion of construction, the CMH has become 1,000-bed hospital with capacity of 1150 beds, an Inter Services Public Relations press release said. Now the CMH has become one of the state-of-the-art hospitals, which shall act as a base hospital not only for army but for Pakistan Air Force and Navy as well.